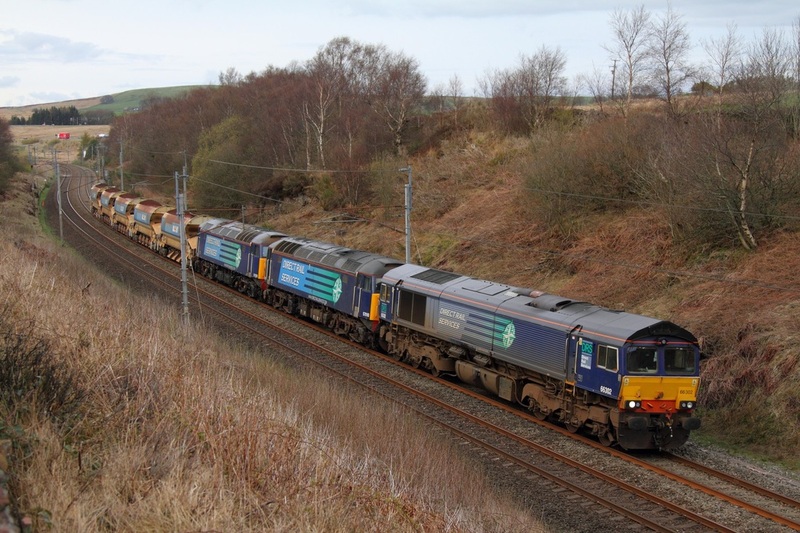 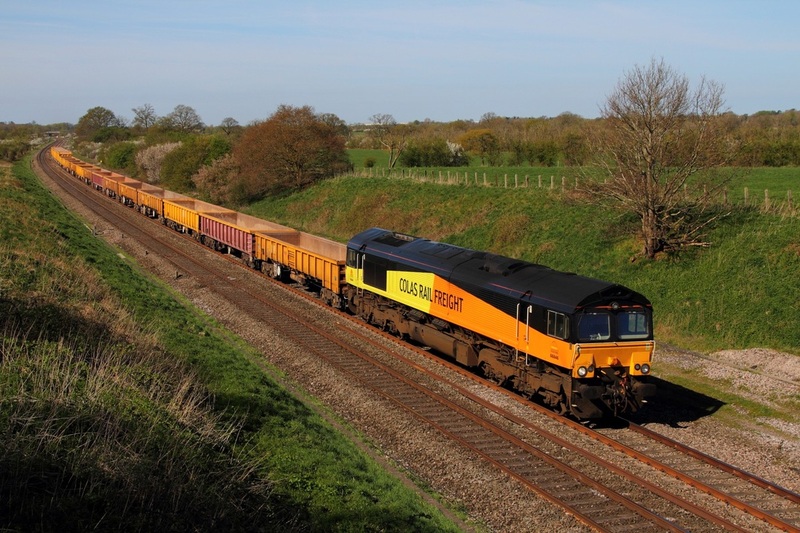 DCR 56311 hauls the 6Z56 Chaddesden to Willesden at Thurmaston near Leciester on the 28th April 2014. 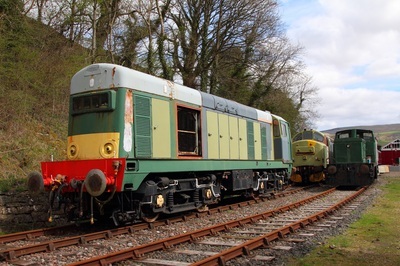 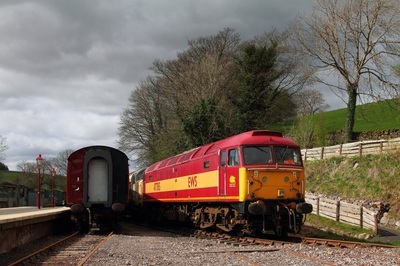 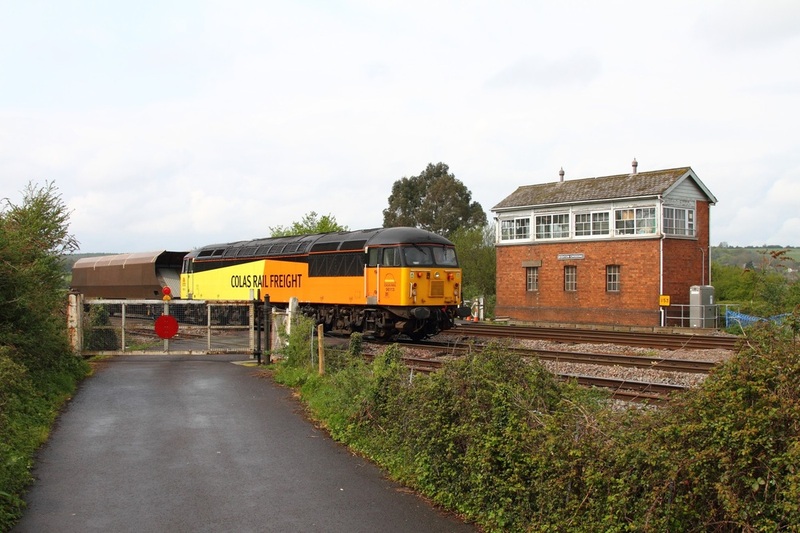 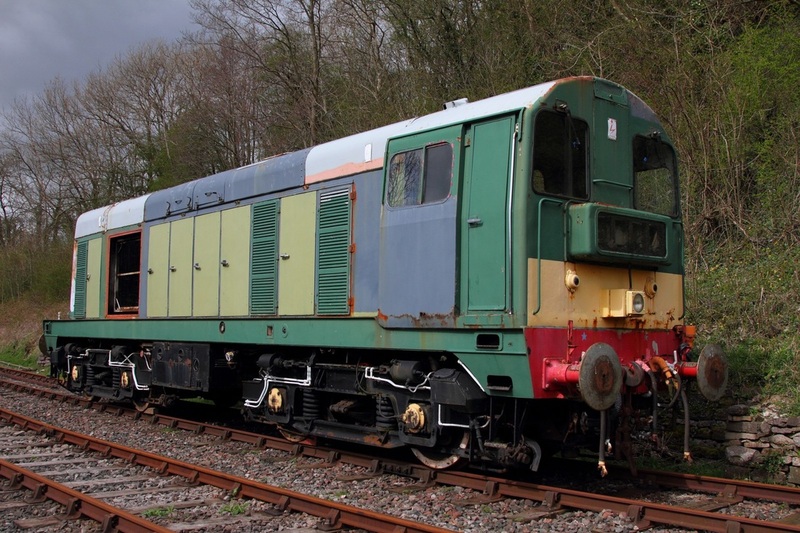 D1015 'Western Champion' leads 47773 on the 1Z15 Tyseley to Kingswear at Charfield on the 26th April 2014. 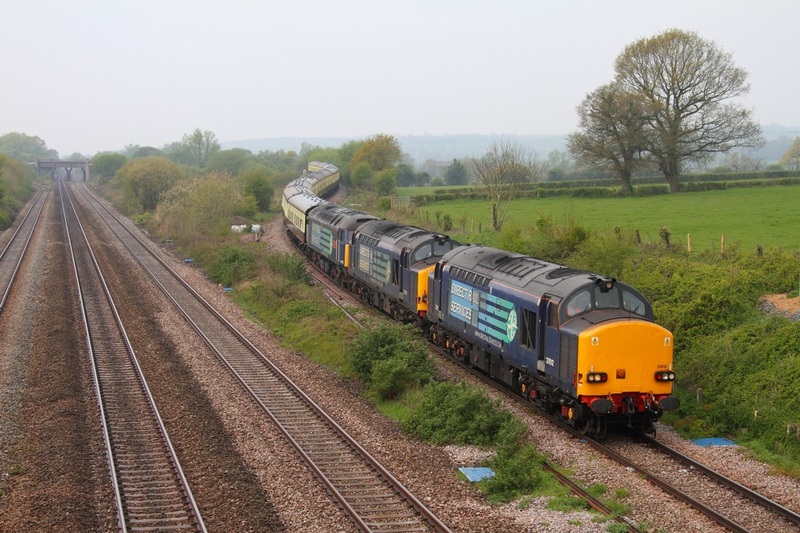 DRS 37612 leads 37611 on the 1Z49 Eastleigh to Llandrindod at Purton on the 21st April 2014. 37612 leads 37611, 47810 over the Bishton Flyover on the 1Z48 Whitchurch to Eastleigh Pathfinder railtours on the 20th April 2014. 47810 was in the consist for repairs at Eastleigh works. 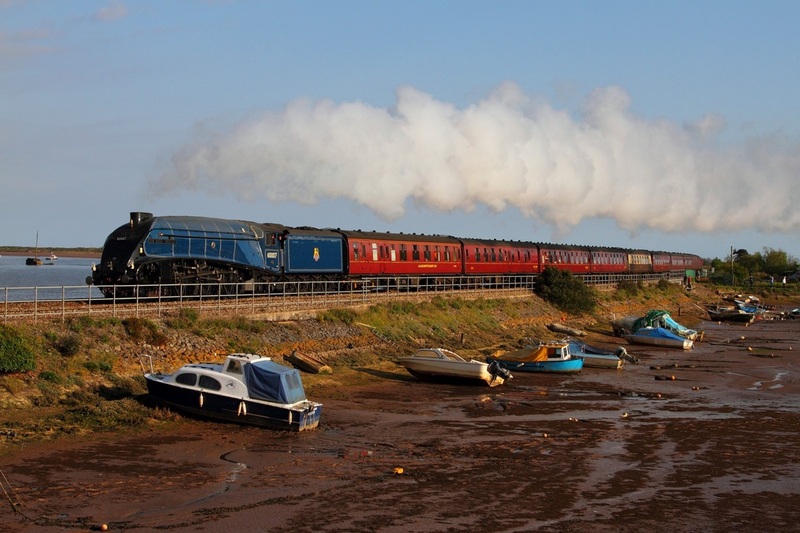 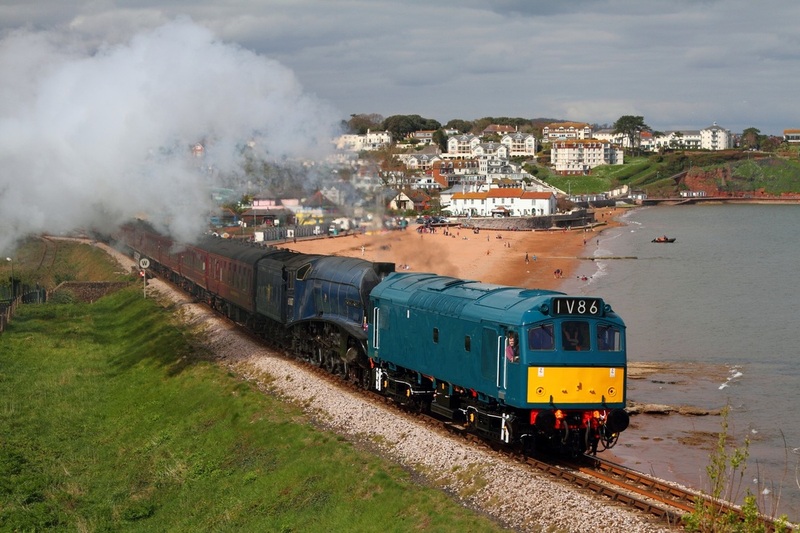 60007 Sir Nigel Gresley is captured at Cockwood Harbour, Starcross hauling the 1Z33 Kingswear to Guildford on the 19th April 2014. 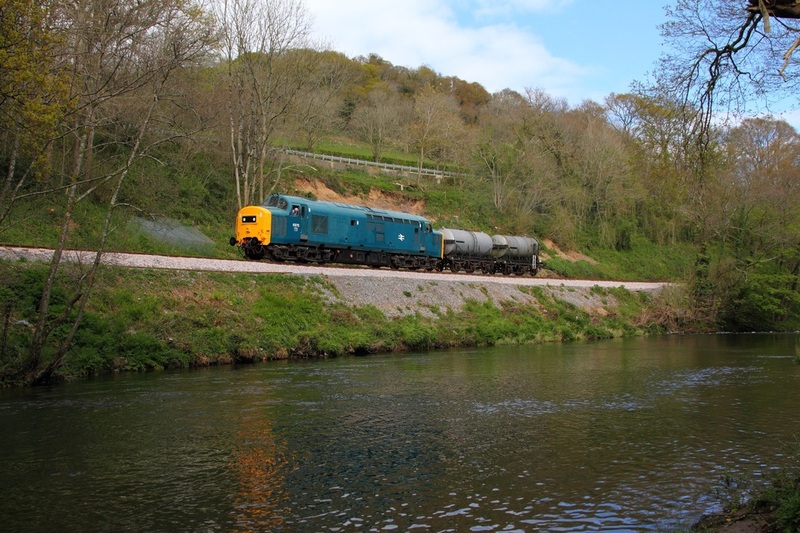 46521 hauls the 1402 Totnes to Buckfastleigh at Hood Bridge between Bishops Bridge and Buckfastleigh on the 19th April 2014. 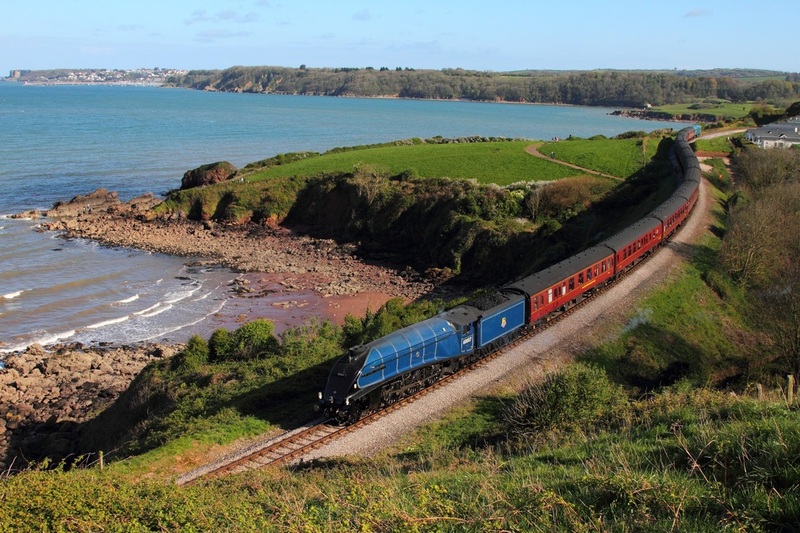 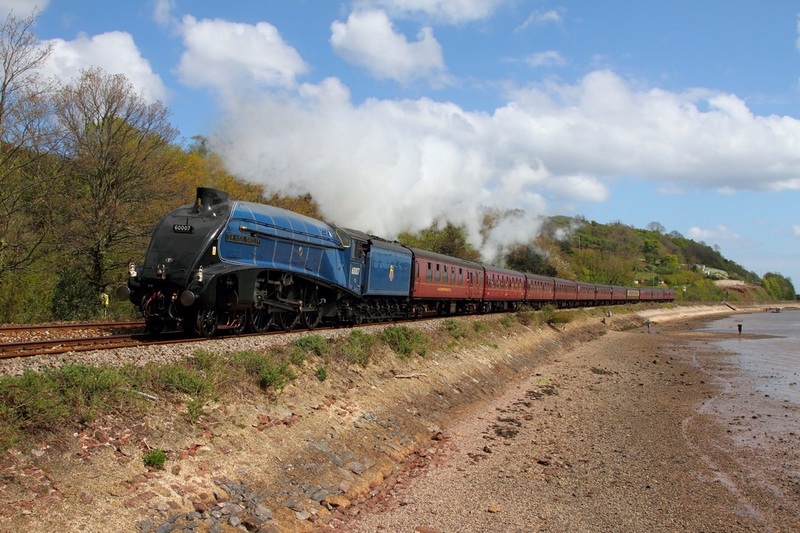 60007 Sir Nigel Gresley passes Bishopsteignton working the 1Z32 Guildford (steam from Taunton, 47237 to Taunton) to Kingswear on the 19th April 2014. 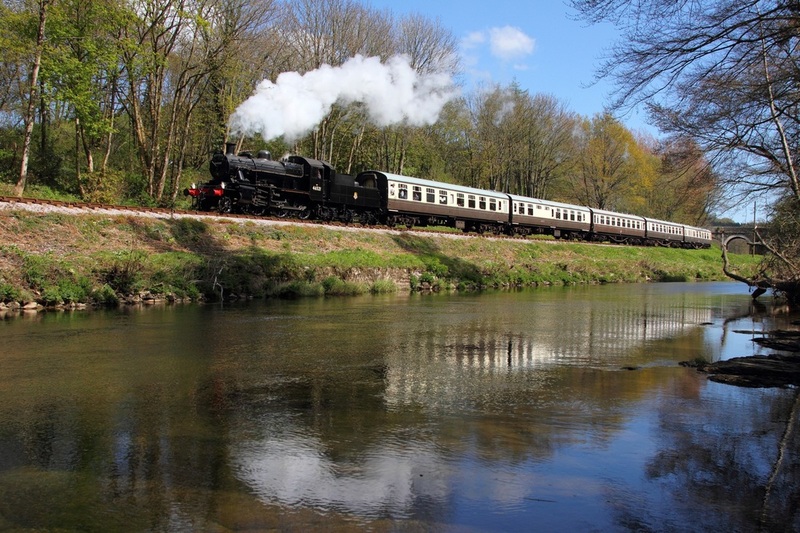 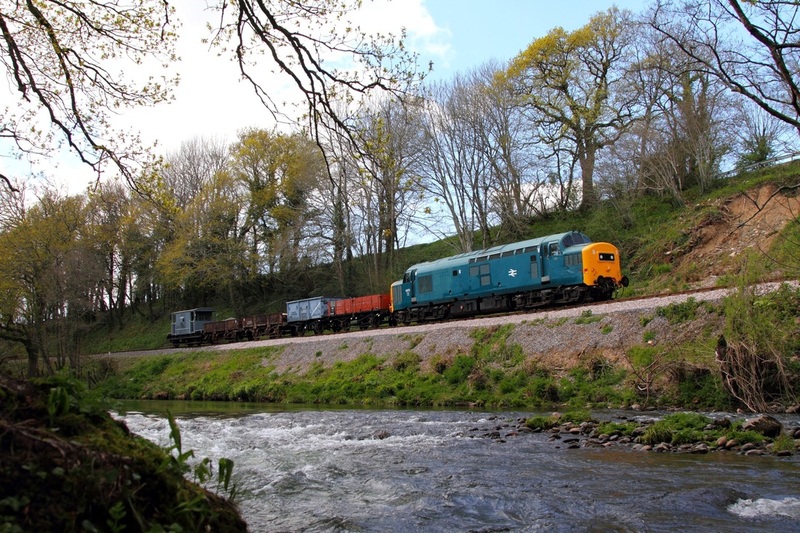 Br Blue 6975 hauls the 1534 Staverton to Buckfastleigh milk train at Hood Bridge on the 19th April 2014. 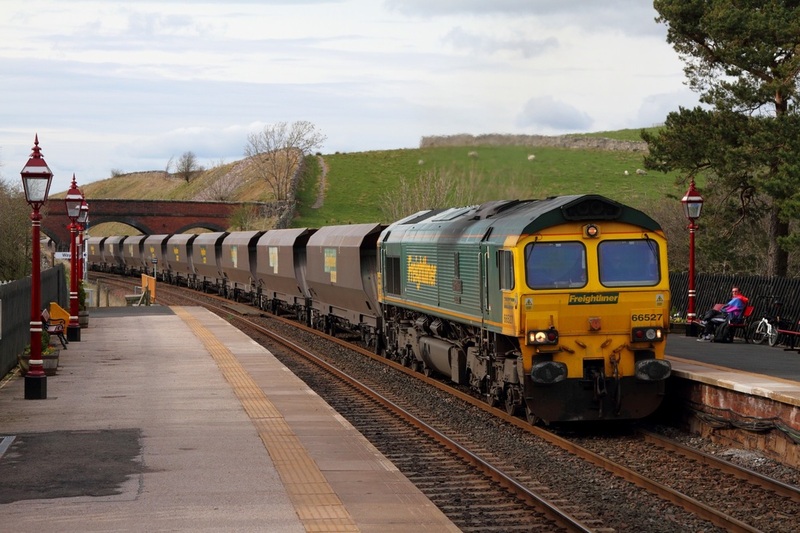 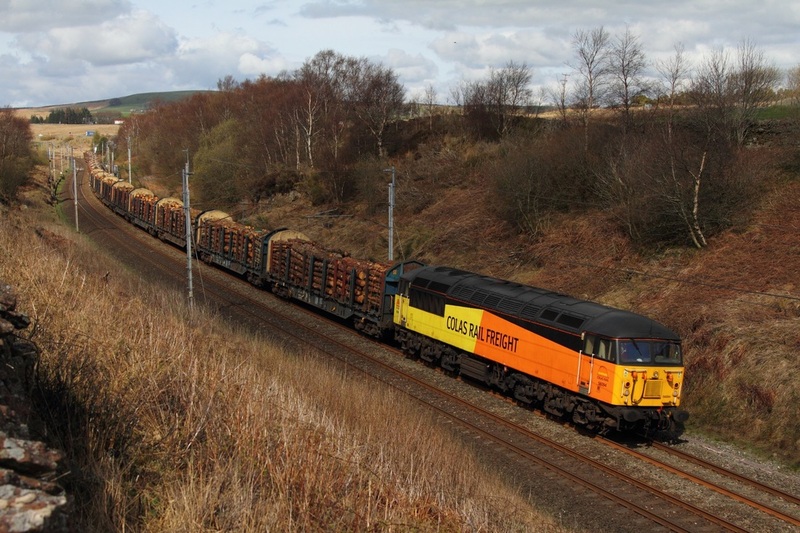 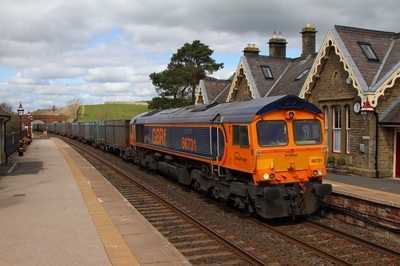 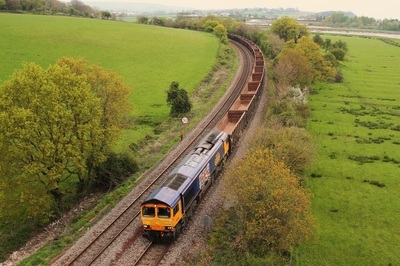 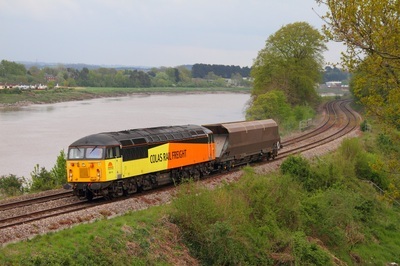 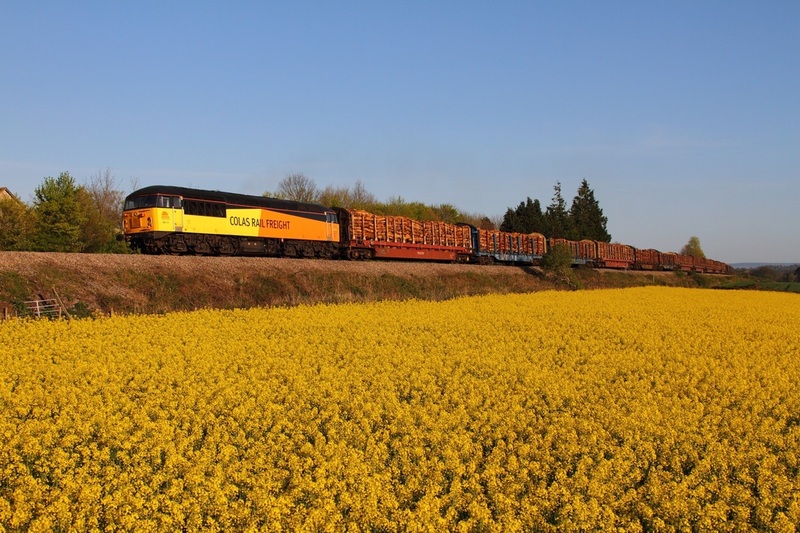 Colas Rail 56113 leads the 6M54 Baglan Bay to Chirk loaded timber at Llanellen, Abergavenny on the 15th April 2014. 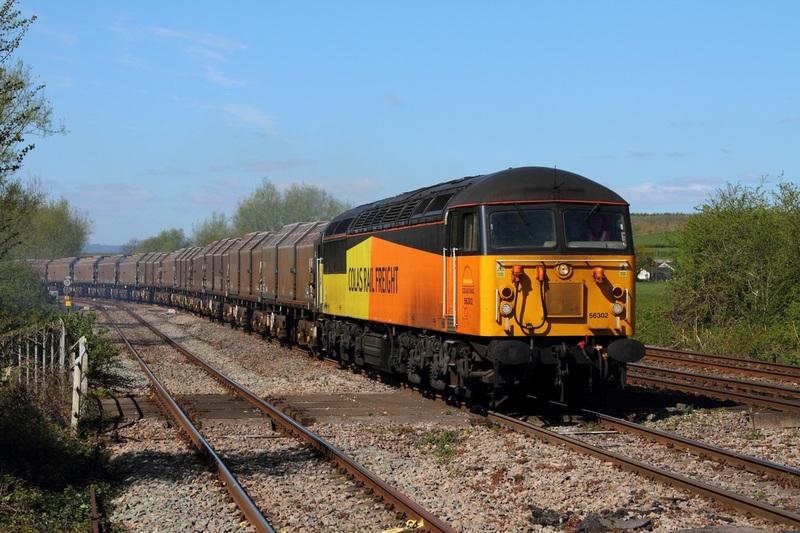 Colas Rail 66846 on hire to DB Schenker works the 6M26 Westbury yard to Stud Farm at Compton Beauchamp east of Swindon on the 15th April 2014. Colas Rail 70803 powers through Compton Beauchamp east of Swindon hauling the 6M50 Westbury yard to Bescot on the 15th April 2014. 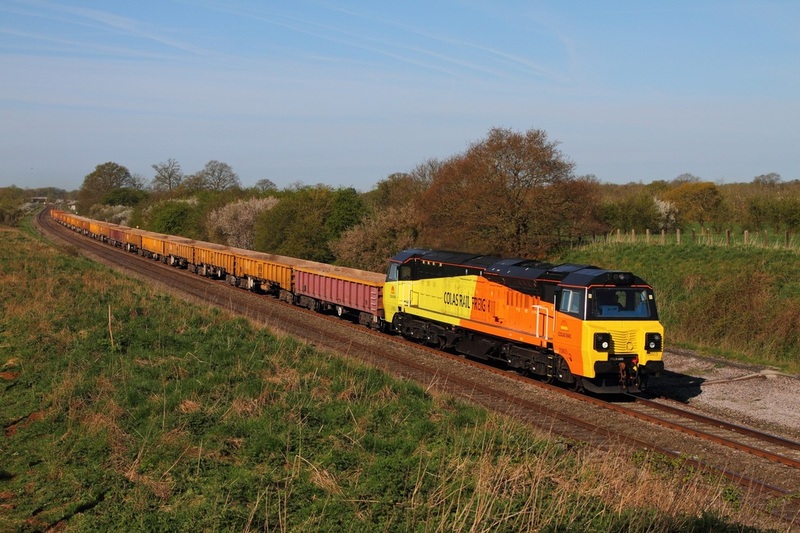 Colas Rail 56302 leads the 6Z30 1130 Llanwern exchange sidings to Long Marston at Llandevenny on the 14th April 2014. 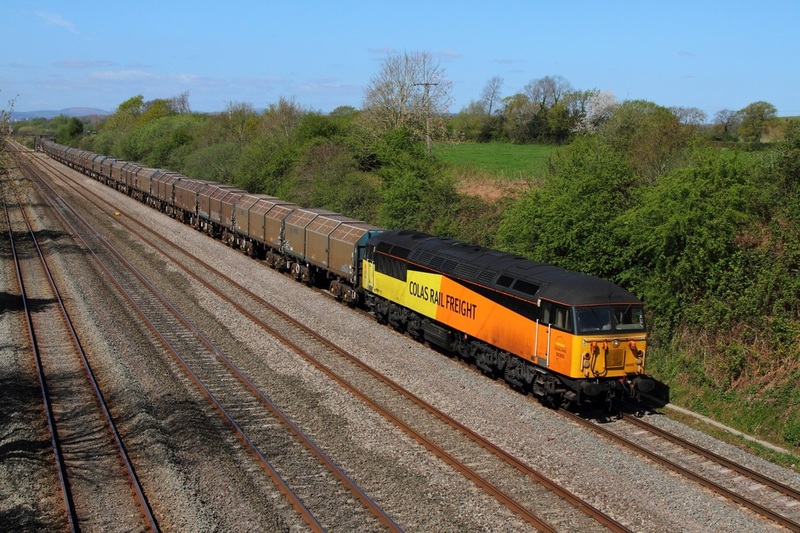 56302 is captured at Llanwern east junction having just departed Llanwern working the 6Z30 1130 Llanwern exchange sidings to Long Marston on the 14th April 2014. 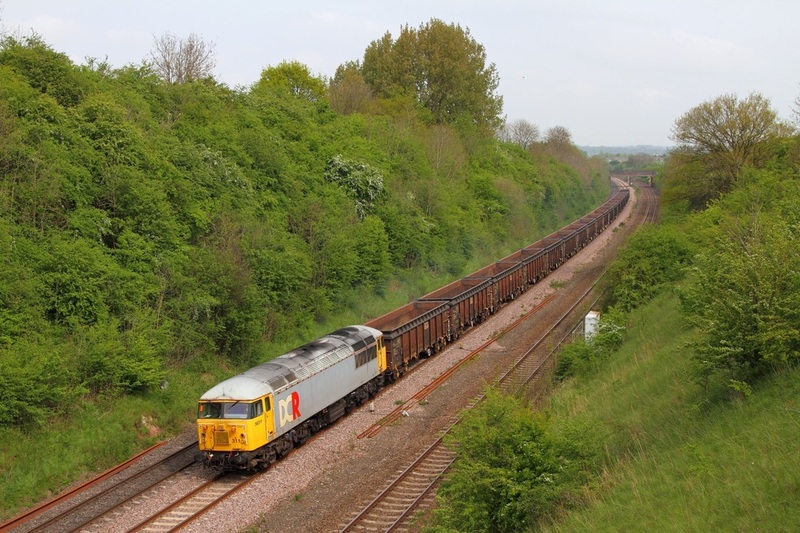 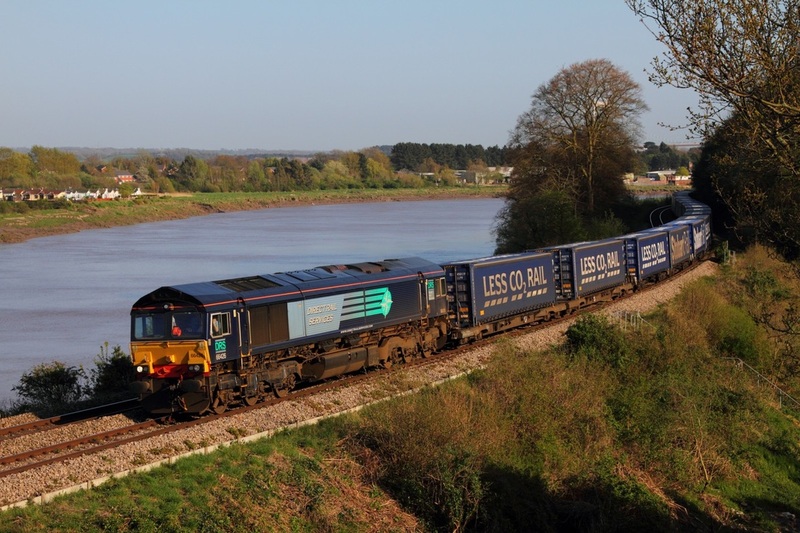 DRS 66426 passes Thornwell working the 4M36 Wentloog to Daventry on the 13th April 2014. 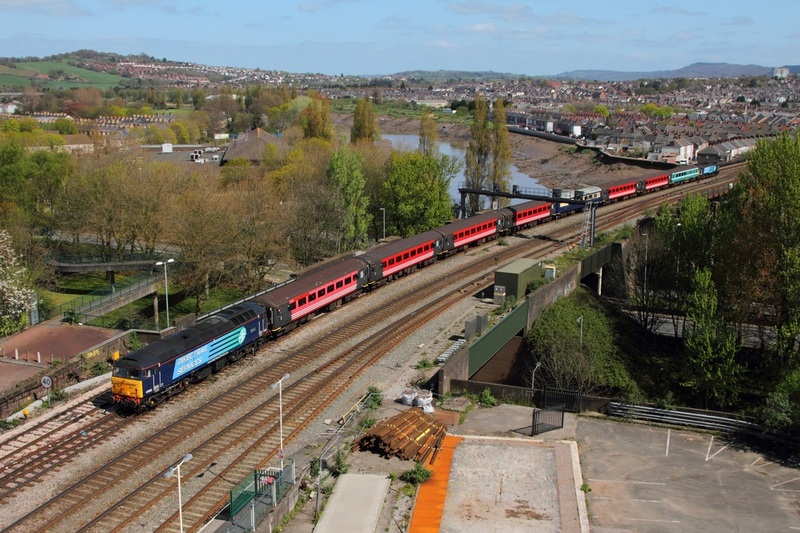 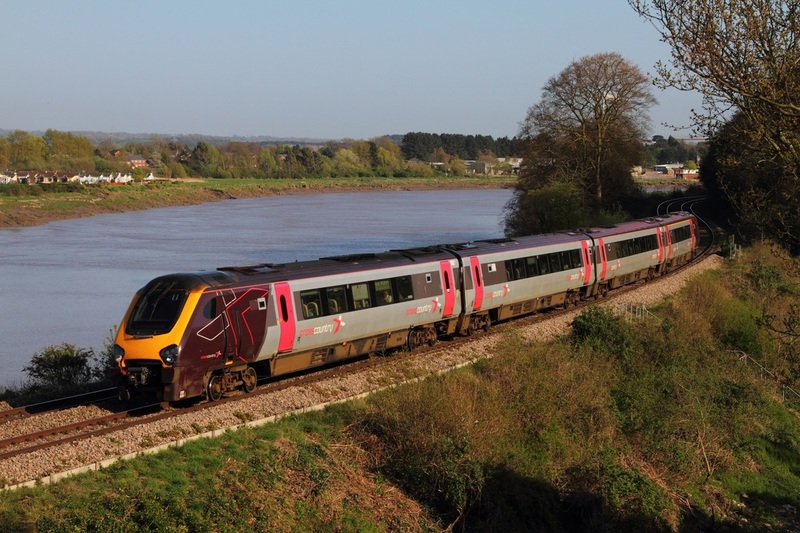 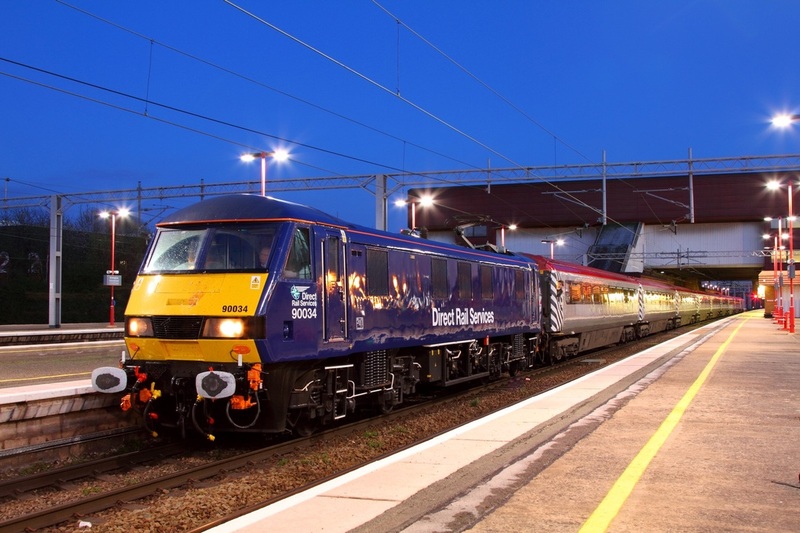 DRS 47853 leads 47813 on the 1Z68 London Paddington to Swansea at Newport on the 13th April 2014. The train was carrying Chelsea fans for the away match at Swansea city. To mark the 25th anniversary of the saving of the Settle and Carlisle route from closure on the 11 April 1989. 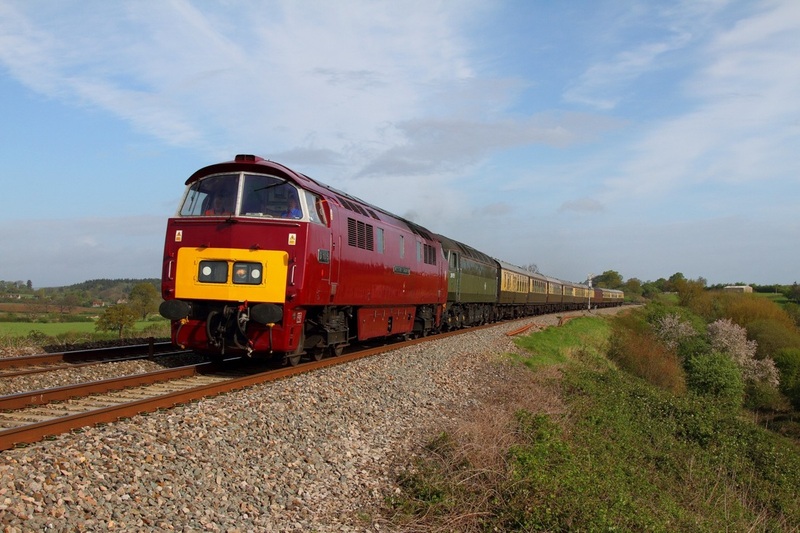 DRS operated a charter involving Class 37s no. 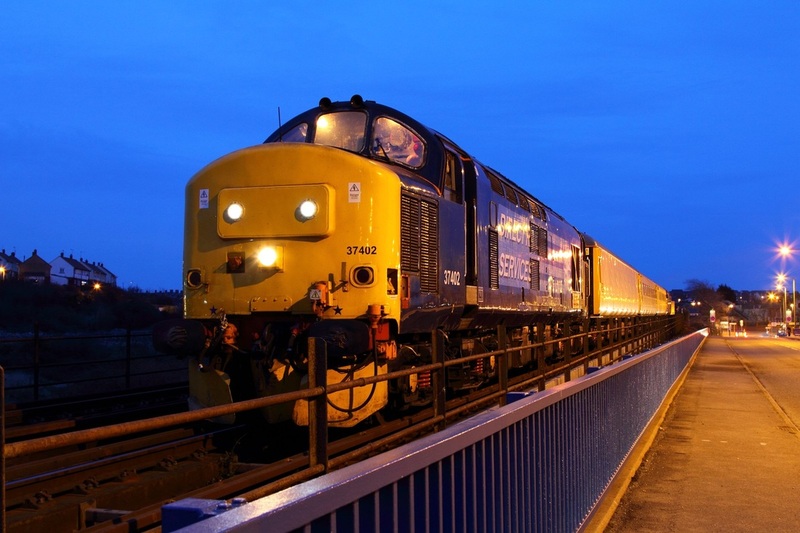 37409, 37425 and 37259 from Carlisle to Carlisle and return via Leeds and York to celebrate the anniversary. 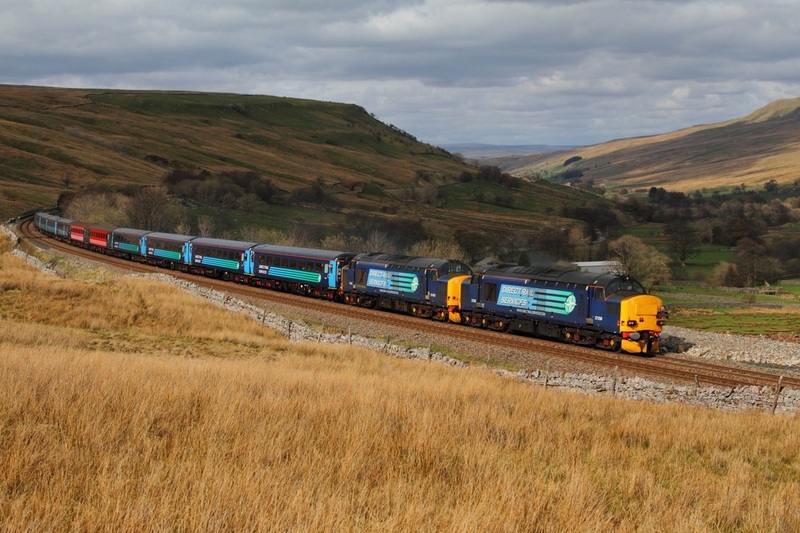 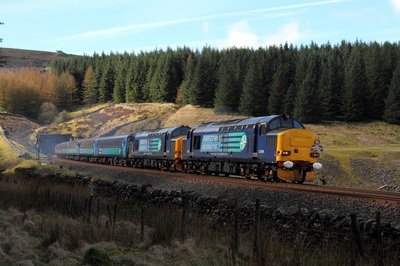 On the return trip from Carlisle, 37259 leads 37425 tnt 37409 on the 1Z38 14:32 Carlisle to Carlisle via Leeds and York at Ais Gill on the 11th April 2014. 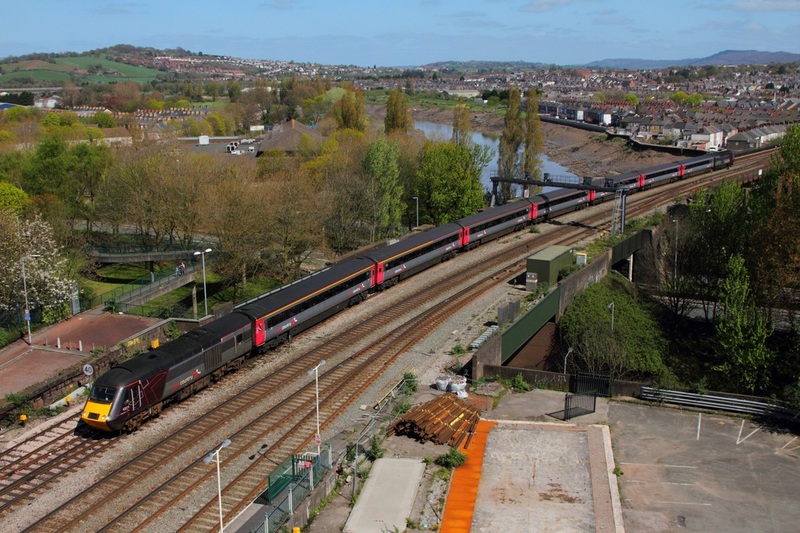 DRS 37402 and 37682 worked the 1Q13 Bristol TM to Bristol TM via Barry Island, Cogan jnc, Treherbert and Merthyr test train on the 1st April 2014. 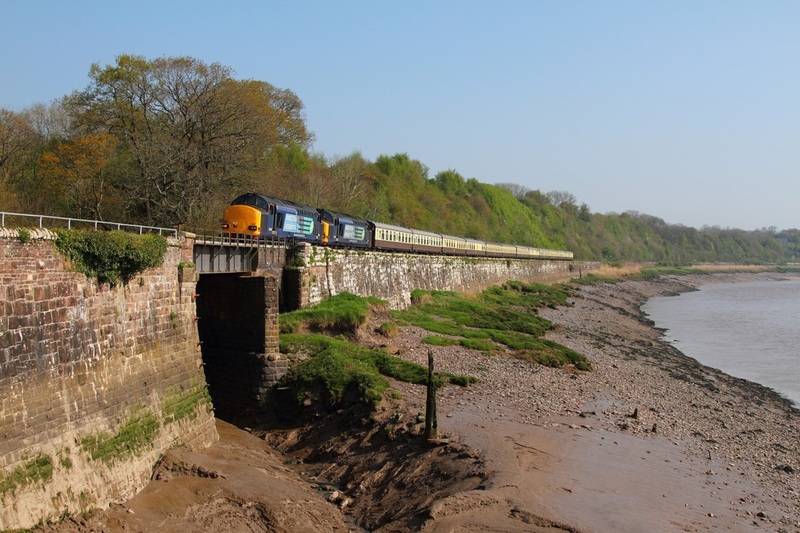 The train is captured departing Barry Island on the 1st April 2014.